Keeping track of your overall Crypto Portfolio is not as straight forward as it should be. Investing into crypto currencies can leave you with multiple wallets and online resources. Each one may contain different coins and tokens for different purposes. It is highly recommended to store all ( or as much as possible ) offline, detached from the internet. This way hackers won’t be able to get their fingers on your hard earned Bitcoins, Ethereum, etc. I have started to look into Crypto currencies in early 2018 and I see great potential in the basic ideas behind the technologies. While my timing was especially bad I wanted to know what the fuzz was all about. The best way to understand things though is to start playing with them. So I did spend some time and money learning a new technology. You need to sign up with and exchange when you want to buy some coins or tokens in order to convert your dollars into a crypto-currency. With Coinbase being one of one most popular which people would recommend for n00bs. Coinbase allows you to convert to deposit funds using your credit card or your bank account information. Paypal is no longer supported. You can then exchange your fiat currency ( I.e. Dollars, Euros etc. ) into Bitcoin, Bitcoin Cash, Etherium, or Litecoin. Any other crypto currency requires you to sign up with another exchange of which there are many to choose from. Coinmarketcap.com, and coincap.io provide you the information as to which exchange supports the crypto token you are interested in. Binance is one of those larger exchanges which has received good online reviews and has supposedly the lowest transaction fees. Getting your hands on some crypto coins or tokens also requires you to safely store them somewhere. Here we have probably one of the weakest points in this area. Every crypto-currency has their own way of storing the tokens. You can keep them on your computer, in an online wallet, in offline wallets or as a paper wallet. You will quickly arrive at a point where you can lose track of your virtual wealth ( or as we have seen recently, the decline thereof ). 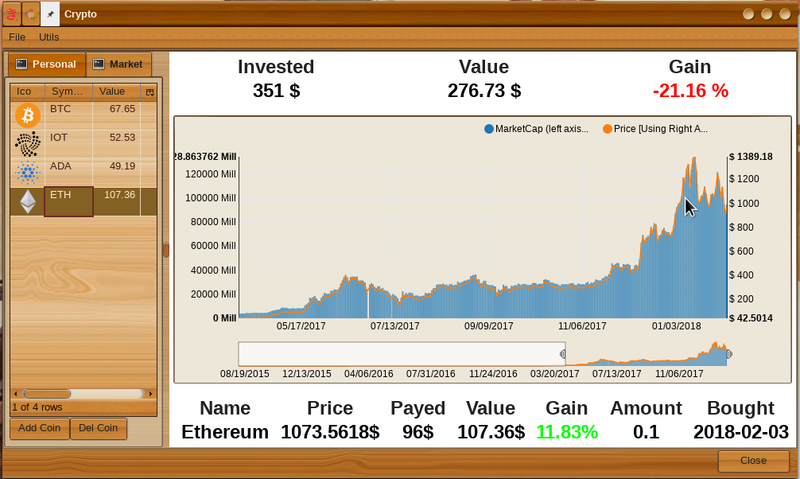 So I wrote a Crypto Portfolio app which will allow you to enter your token amount and then look at the market data for it. I will not store this information on the server but instead store it in your browsers’ cache so you don’t have to fear releasing any data to my servers. One thing I quickly realized is that almost everything you do in crypto will cost you either a fee or a transaction cost. 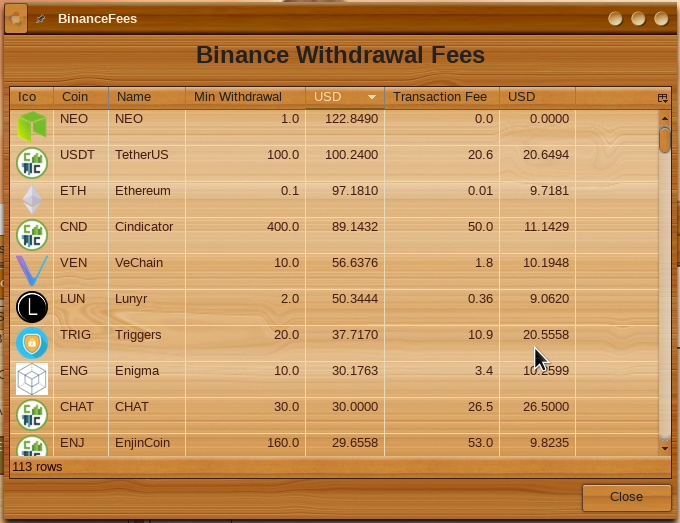 So yeah Binance has a 0.1% trading fee however one thing which you will not see right away is that you will not be able to convert all of one crypto token into another crypto token. Binance will always leave you with some leftover on their platform. These may vary but my worst case leftover position is worth about US$1.00. On top of that Binance also requires a minimum transaction for certain coins. E.g. you require at least US$97.181- ( as of Feb 2 2018 ) in Etherium before you can transfer it out of Binance. 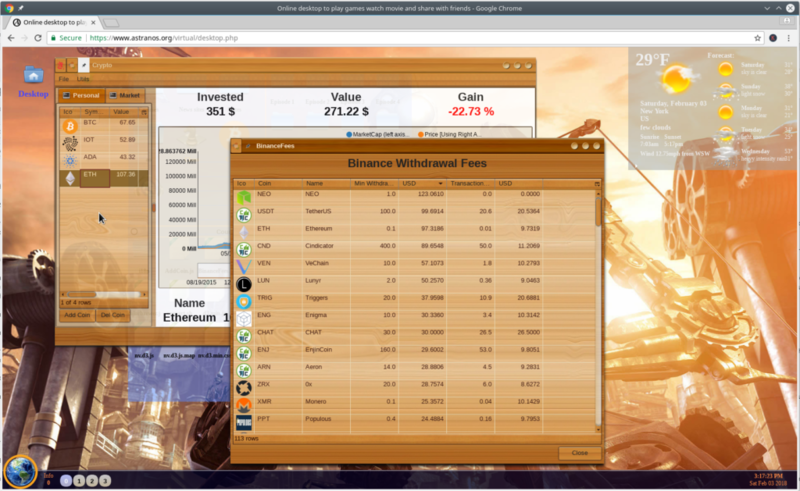 Then you have to pay for the actual transaction fees which for Etherium ar 0.01ETH, which is … well about $9.71 as of this date. So you add this all up and you end up spending a lot of money in the whole exchange process. If you exchange E.g. 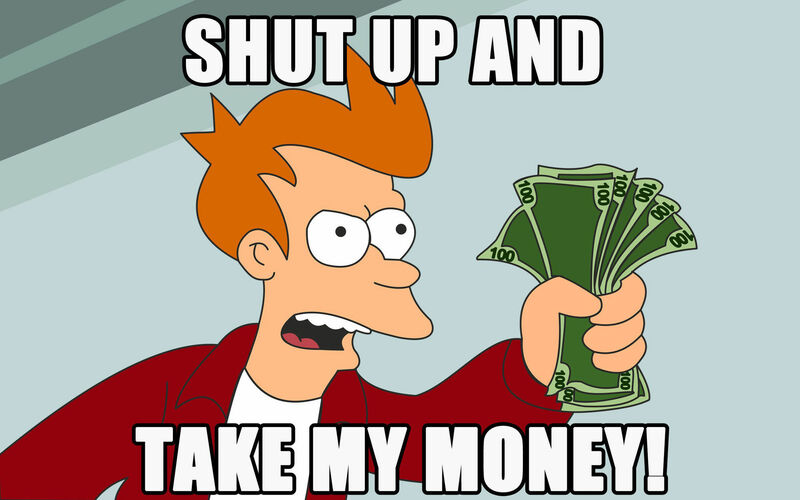 $100,- by the time it leaves Coinbase you are down to about $97,- Then you exchange it for ETH on Binance and send it back to your private wallet, you end up with only about $85,- worth of ETH. This of course does not take into account the huge market swings, which could increase or decrease your position a few percentage points in the time it takes to go through the whole operation. First though I have to remind you that; yes it is possible to lose money, which is why you should never put in more than you can afford to lose. If you click on the image below you can start using the app online from within my WebOS. You can find it under [Start -> Utils -> Crypto ]. Note: This app does not send any data back to any server. Feel you want to play with the code: follow the link to the Battlefield.